Cruises are popular vacation getaways, but if you have more time to travel, a repositioning cruise offers both an adventure and a bargain. Many of the world's cruise liners spend the summer season sailing the Mediterranean and North Seas and the winter season cruising the Caribbean. In the lull between them, ships sail from one region to another, and cruise lines offset these costly relocations by inviting travelers to join them for something a little different. The transition takes place twice a year – in April and November. Next month, dozens of ships will cross the Atlantic from Europe to the Caribbean, offering passengers a longer-than-usual cruise with upgrade options at a discounted fare; sometimes as much as 50 percent less. 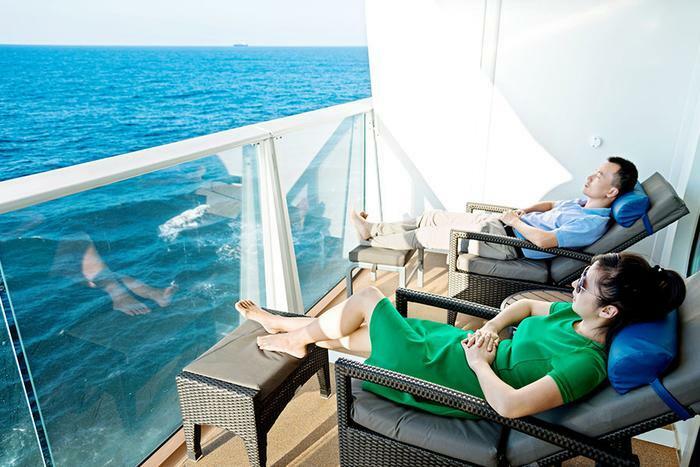 There are several ways a repositioning cruise is different. For starters, it's a one way trip. A traditional cruise returns to its port of departure. American consumers who want to take a repositioning cruise next month will need to get to the departure port across the Atlantic. Some seasoned travelers often make getting to the departure port part of their travel experience. They might take a cheap flight to Ireland, spending a couple of days there. Then they might take another cheap flight to Southhampton, where they would board a cruise liner headed west across the Atlantic. Another difference is the length of the cruise. A traditional cruise might take six or seven days, stopping at a different port every day. A repositioning cruise is longer, with up to half of that time spent at sea. The ship might stop at a few ports, especially in the Mediterranean region, but there are generally fewer stops than a traditional cruise. Transatlantic cruise passengers should expect six to seven days at sea. A third difference is value for the passenger. In addition to paying a lower fare, food and beverage upgrades that might be costly on a traditional cruise are often complimentary. This can include unlimited drinks, pre-paid gratuities, and hundreds of dollars in shipboard credit. While they tend to be very good values, repositioning cruises aren't for every traveler. You must be willing to devote two weeks or more to your overall journey. You also must enjoy an extended time a sea. The fact is that some people do and some don't. But for those who love shipboard life and a good bargain, an extended cruise could be a vacation to remember. A 15-night repositioning cruise recently offered by Celebrity begins in Rome, with stops in Florence, Provence, Barcelona, Palma De Mallorca, the Canary Islands, and then seven days at sea. You should also carefully consider costs. It's true that the fare is less, but you have to pay to get to your departure port, then get home after docking at your arrival port, which in the U.S. is normally Fort Lauderdale, Fla.
You can find a repositioning cruise by going to individual cruise line websites and searching for deals. People who tend to favor one particular line may like that option. Another option is to use an aggregator, such as Crucon Cruise Outlet, which displays deals from many popular cruise lines.